Societies with high levels of trust are generally richer and happier. But what is trust and can we differentiate it from trust worthiness? Is trust in political institutions on the decline? How much does media bias affect electoral outcomes? 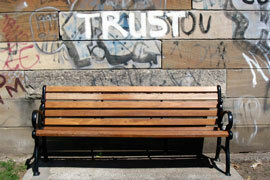 How can we re-establish trust in circumstances where trust has been lost? "Trust in Political Institutions in Eastern Europe"
Emanuel Coman is Assistant Professor in Political Science at Trinity College Dublin. He teaches courses in comparative institutions and American Politics. His research is primarily in the fields of party politics and elections, with empirics driven primarily from Eastern Europe. Richard Layte is Professor of Sociology and Head of the Department of Sociology at Trinity College and Research Professor at the Economic and Social Research Institute. Much of his work stems from a core interest in the structure of social and economic stratification in modern societies and its impact on individual life-chances, health and well-being. 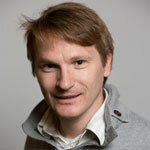 "Media bias and Political Consensus"
Gaia Narciso is Associate Professor in Economics at Trinity College. Her areas of research are development economics, migration and political economy. Her research has been widely cited and featured in international media and she has successfully attracted international and national funding. 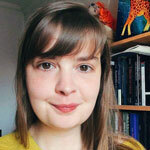 Elizabeth Ventham is a Teaching Fellow in Ethics in Trinity's Department of Philosophy. Before joining Trinity in 2018, she completed her PhD at The University of Southampton; her thesis was on moral reasons and obligations, and how they relate to our desires. 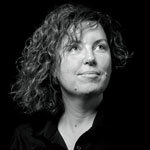 She specialises in normative ethics, meta-ethics and moral psychology. The event will be chaired by Prof Linda Doyle, Dean and Vice-President for Research in Trinity College. As Dean of Research, Prof Doyle has responsibility for coordinating and overseeing the University's research, innovation, technology transfer, and entrepreneurship strategies. She is also Professor of Engineering & The Arts in Trinity.